An all natural & great tasting coffee substitute. Coffee contains caffeine which is a stimulant to the central nervous system that is often followed by a depressed phase that may involve exhaustion, nervousness, irritability & fatigue. 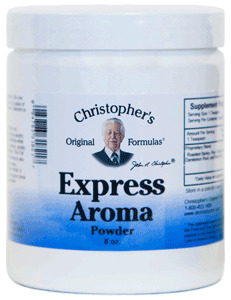 Dr. Christopher's Express Aroma is caffeine-free & offers a healthy alternative for coffee & tea.